The UN Security Council on Wednesday agreed to discuss revamping the UN peacekeeping force in Mali but cautioned that any changes, including a possible major drawdown, should not jeopardize the West African country's stability. The council unanimously adopted a French-drafted statement requesting that Secretary-General Antonio Guterres draw up options for "a potential significant adaptation" of the 14,000-strong force, known as MINUSMA. 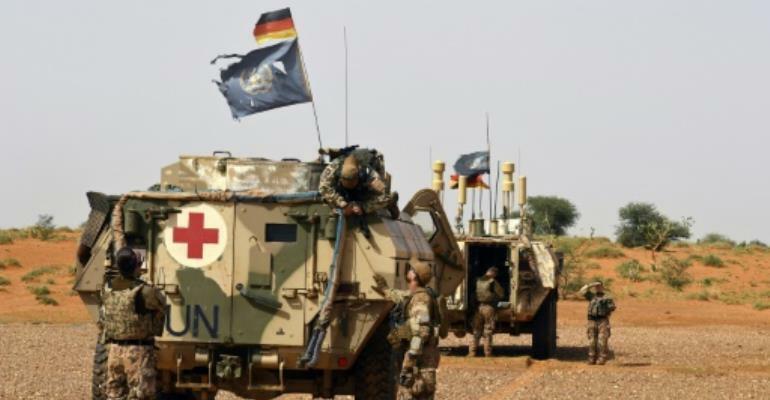 The statement set the stage for a showdown between France, which is seeking to keep a large UN presence in Mali, and the United States, which is pushing for major cuts to peacekeeping missions. Guterres will present the options to the council before it decides in June on the renewal of MINUSMA's mandate. The peacekeeping force was established in 2013 after the jihadist takeover of northern Mali was beaten back during a French military intervention. A peace deal was signed in 2015 between the government and some armed groups, but the jihadist insurgency has shown no signs of weakening, spilling over to Burkina Faso. Mali's Prime Minister Soumeylou Boubeye Maiga warned the council last week that a big drawdown of MINUSMA could put at risk fragile gains made to contain the threat from extremist groups. The statement cautioned that changes to MINUSMA should enhance the blue helmet's ability to support the peace deal "without jeopardizing the stability of Mali and its region." The council called on the government and armed groups to agree on a "revised roadmap" to implement the peace deal. The United States, the number one financial contributor to UN peacekeeping, has called for major cuts to blue helmet operations and pushed for missions to shut down if they are unable to advance prospects for peace. MINUSMA is considered one the most dangerous peace missions run by the United Nations. Sixteen peacekeepers have died in attacks this year alone.